The World Economic Forum report states that governmental and political instability are the most problematic factors for doing business in Egypt. 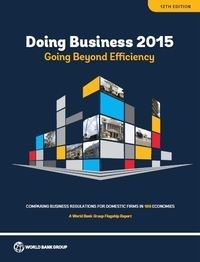 Egypt ranks number 107 out of 144 in the Global Competitiveness Report for Fiscal Year 2012-2013. 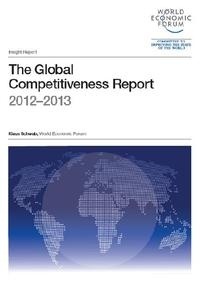 The Global Competitiveness Report 2012–2013 is being released amid a long period of economic uncertainty. The tentative recovery that seemed to be gaining ground during 2010 and the first half of 2011 has given way to renewed concerns. The global economy faces a number of significant and interrelated challenges that could hamper a genuine upturn after an economic crisis half a decade long in much of the world, especially in the most advanced economies. The persisting financial difficulties in the periphery of the euro zone have led to a long-lasting and unresolved sovereign debt crisis that has now reached the boiling point. The possibility of Greece and perhaps other countries leaving the euro is now a distinct prospect, with potentially devastating consequences for the region and beyond. This development is coupled with the risk of a weak recovery in several other advanced economies outside of Europe—notably in the United States, where political gridlock on fiscal tightening could dampen the growth outlook. Furthermore, given the expected slowdown in economic growth in China, India, and other emerging markets, reinforced by a potential decline in global trade and volatile capital flows, it is not clear which regions can drive growth and employment creation in the short to medium term. All whitepapers are available to you and free of charge. This whitepapers is provided by Klaus Schwab.